It's now been three days since RIM's BlackBerry services went down, leaving users all over the world stranded without BlackBerry Messenger, email, and internet access. Despite promises on Tuesday that services were restored and working normally, millions of users have continued to report issues with their devices. Not everything is functioning as it should, however. If you're a BlackBerry user in Europe, you may find you're hit by a torrent of BBM messages and emails today as these services are brought back to life. The internet services are still down, however, meaning you still won't get web access on your device. For those in the U.S. and Canada, you'll continue to find problems with all services for the time being. 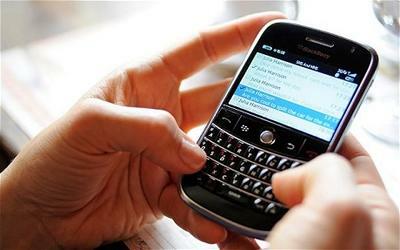 RIM has blamed the outage on a "core switch failure" within the company's internal infrastructure. According to British broadsheet The Guardian, the problems stem from a server issue in Slough, England, which went down following a failed upgrade. RIM has stressed that these issues are not the result of a hack, which means there should be no concerns about theft of your data. However, that doesn't do much to reassure BlackBerry customers who are now concerned about the reliability and stability of RIM's services. If I was a BlackBerry user, I know I'd be very unhappy without access to my services after three days. How do you feel about this?